Ms Helga Bollmann Leknes has been appointed Chief Commercial Officer (CCO) in Norwegian, it was announced this week. 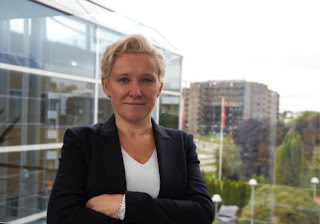 "I am very pleased to announce that Helga Bollmann Leknes has been appointed Chief Commercial Officer of Norwegian Air Shuttle ASA. She will remain in her current role as Managing Director of Norwegian Air Resources (NAR), which she has led since March 2018,” says Norwegian’s CEO Bjørn Kjos. Ms Bollmann Leknes joined Norwegian in October 2017 as Chief HR Officer and has also been responsible for commercial management since September 2018. “Helga has done a great job within a short amount of time. From now on, she will be responsible for the whole commercial value chain, a unique position for managing the synergies between vital parts of our operations,” Kjos continues.